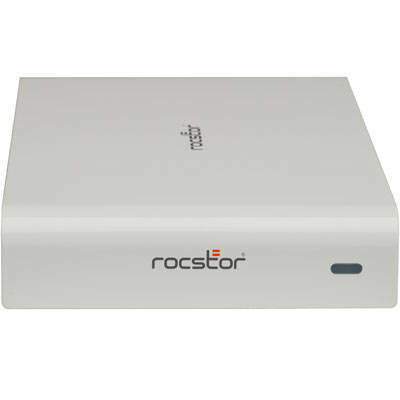 ROCPRO 850 - The new generation of Rocpro external SATA Hard Drives delivers extraordinary performance and reliability for both Mac and PC users. Specifically designed for demanding audio/video professionals; the new Rocpro 850 contains a fast SATA high capacity 3.5" drive mechanism in a stylish and unique aluminum case that can be stacked or mounted vertically. With its built-in power supply, fan-less and quiet operation the Rocpro 850 can be easily moved from one desktop environment to another using the provided carrying case. Ideal for professionals in high-end video and audio professionals. Transfer, backup, exchange or share large files and information.